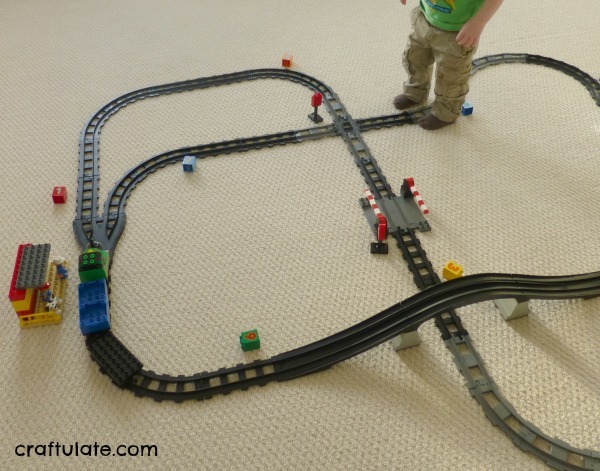 While F was at school one morning I set up a new train track for him using his Duplo train set. 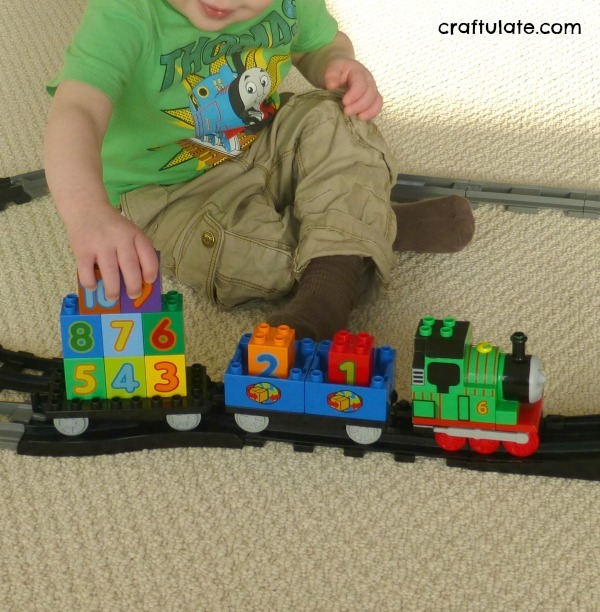 After I had completed the track I added number blocks which he got with his Duplo number train set. 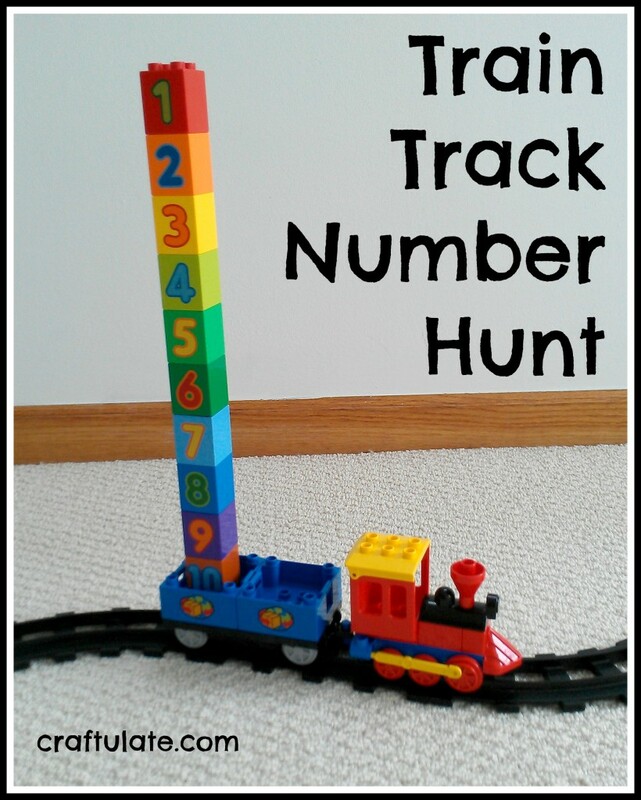 The blocks are only from 1 to 10, but I spread them around the track – adding some in places where he would have to plan a route so that he could collect all the number blocks in order. 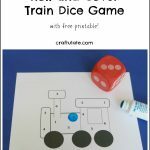 He got the hang of the game immediately, and he stacked the number blocks up on the train cars as he pushed the engine around the track. After he had proudly got all 10, he rearranged the blocks so they all faced the same way. After that he wanted to do it again. 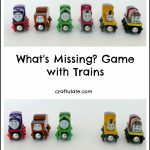 So I laid out all the number blocks but this time he changed the game – he wanted to add a train car to the engine each time we collected a block. 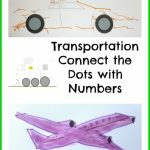 So when we collected the number 1 block, he wanted one train car, then when we collected the number 2 block, he wanted two cars. And so on. He went all the way up to 8 before distracting himself with a different game. I was really pleased that he joined in with this number hunt although I suspect that it was just a tiny bit too easy for him. Perhaps we’ll do an alphabet version next! 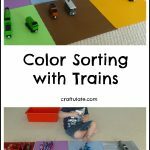 This activity is part of our transport unit All Things Train. 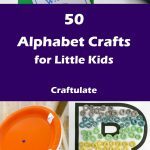 Thanks for linking to Little Builders!